This work defines its course in reference to Nietzsche's Also Sprach Zarathustra. 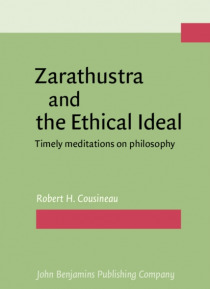 The author uses Zarathustra to reflect how our understanding is wedded to affective modes, thematizing especially laughter, fear, awe and hope. The book invites us to rethink how to overcome some relevant impasses of contemporary analytic, hermeneutic and (post)deconstructionist thought. The author seeks the dialogue… with the texts and the reader and gradually brings to the fore the ethical. In the words of the author: Most works on Nietzsche talk about him, few address him, much less invite the reader to walk with him. It is time for a dialogical itinerary.